Set course for bacon. All systems full for the superficial man cave. Boldly go where no porky nerdgasm has gone before with this funny bacon gift for geeky guys. White Star Trek font with wavy bacon graphic. Not found in stores! Electrovista saw this and thought of you! At the Singularity the Creation of Cyborg Adam will occur by a Cyborg God? 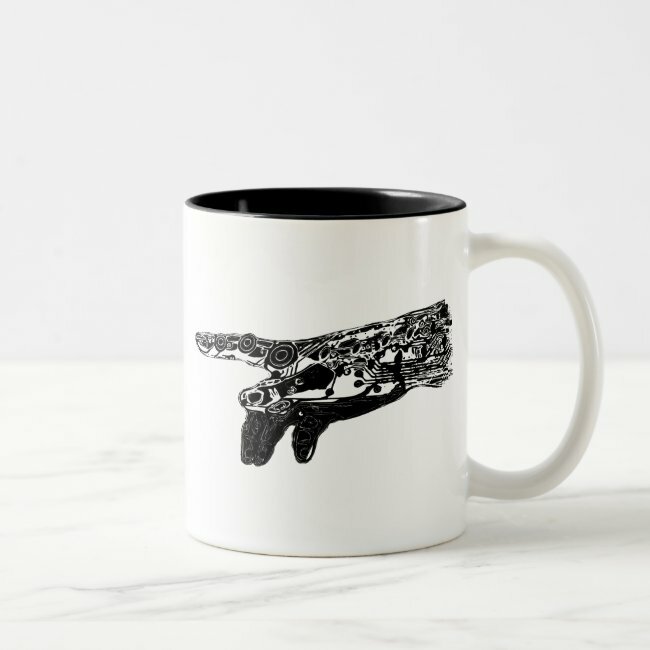 Ponder the Big Concepts with this Awesome Coffee Mug. Cool Geek Gifts are by Electrovista. Hand of a Cyborg God? Artwork designed by The Singularity. Made by Zazzle Home in San Jose, CA. Sold by Zazzle.